CHRYSLER VOYAGER BOOT LINERS vome with a antislip center and lipped edge as standard. Helps protect your car from dogs, children and DIY. 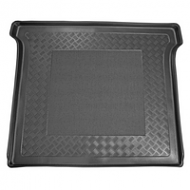 Treat your CHRYSLER VOYAGER to a BOOT LINER.